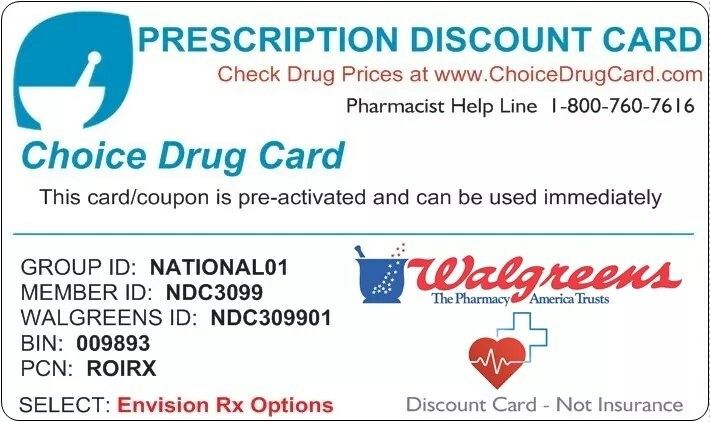 Walgreens Pharmacy Discount Card & Coupon by Choice Drug Card is a discount prescription card that is accepted at Walgreens Pharmacy to save on your prescription medication. Just present this card to the Walgreens pharmacist and have them save the information for discounts on all your medications. Choice Drug Card users save up to 85% on medication at Walgreens Pharmacy using our FREE drug card. Print your FREE card & coupon and start saving today!